The Carolina BalloonFest, arguably the largest attraction in Iredell County, turned 45 years old on October 19, 20, and 21. We’re proud to be the country’s second oldest hot air balloon festival, and to be reaching such an impressive milestone! Starting in a small chicken coop in Love Valley in 1974, the festival was the brainchild of ballooning engineer, Tracy Barnes, and colleague, Bill Meadows. Since then, the festival has evolved into a family-fun, weekend-long event with activities for all ages. So on behalf of our board of directors, staff, volunteers and all who make the 45th annual Carolina BalloonFest possible! We especially hope you will help us thank our generous sponsors, our pilots and their teams, and our nearly one thousand volunteers who drive this event. and support. We are also grateful to the first responders and law enforcement officers who dedicate their time to the festival, ensuring the utmost safety and concern for everyone. Please know that when you attend the Carolina BalloonFest, your ticket purchase and attendance provide the monies we donate to a multitude of non-profits at the end of the year. We, as a 501(c)(3) non-profit, make it our mission to help local entities; last year, we donated $115,000 back to the community. We are able to accomplish this generous donation thanks to our festival patrons. We look forward to hosting you at our 2019 festival! Whether your a first time attendee or a long-time Carolina BalloonFest fan, prepare yourself for an exciting weekend packed with a prismatic display of colors, entertainment for every age, and an abundance of family-fun activities.We know you’ll have a wonderful time. Browse memories from the 2018 Carolina BalloonFest! Thank you to WSIC for their coverage of the 2018 Carolina BalloonFest! Above photos provided courtesy of Bill Leach. Read the 2018 festival's digital version of our festival pamphlet. 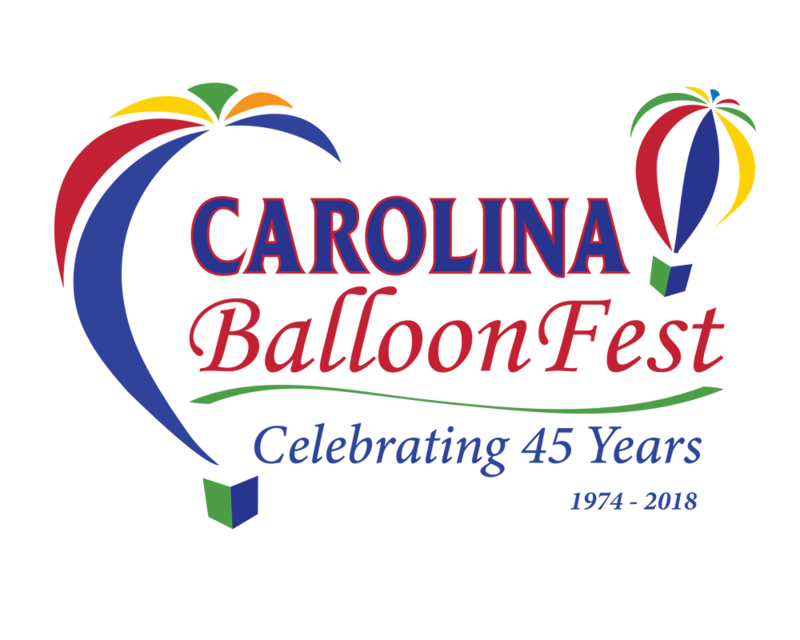 Providing insight and information into our regular Carolina BalloonFest schedule!